Here in Sonoma County, we have access to some of the best winemaking grapes in the world. And as our own Bob Peak has been known to say, "You can't swing a dead cat in Sonoma County without hitting a wine maker!" What luck for us! Being rooted in the heart of wine country gives us unique access to knowledge and products for home winemaking. We have been at it for over 30 years and we are still in the forefront of the fermentation movement. 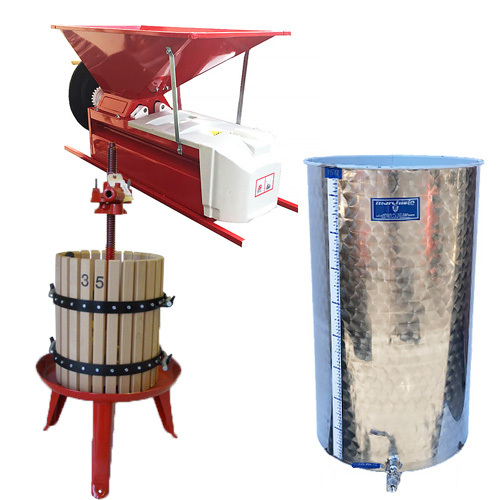 We stock everything you could need to produce world class wine at home. We even maintain a binder in our shop of local growers willing to sell their excess grapes to individual hobbyists. Stop in the shop during harvest and ask for "The Grape Book". Once you have your grapes or juice, this site has the rest. You will find the heavy equipment including grape crushers, destemmer / crushers, presses, and tanks. Most of the equipment is also available for rent in our shop. 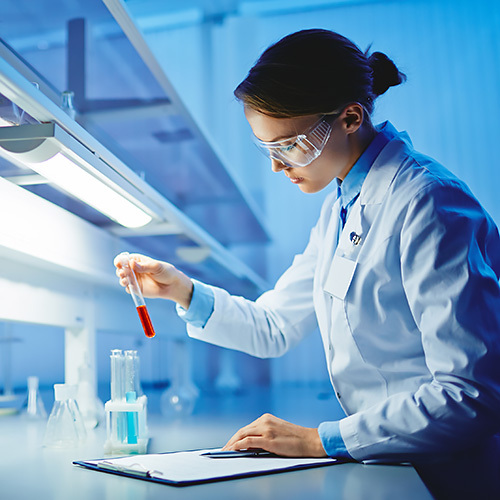 We are a leading provider of yeasts, malolactic bacteria, and other commercial wine enhancement products. You will find many products here that are hard to find elsewhere in sizes appropriate for home use. 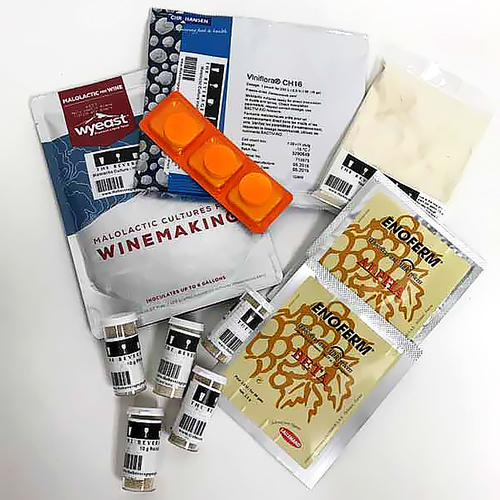 Enzymes such as Lallzyme EX, and Lallzyme Cuvee Blanc have been popular for assisting with extraction of juices, flavors, and aromatics from grape skins. 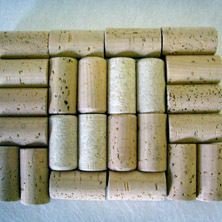 Specialized and exotic tannins such as Tannin Riche, Tannin Refresh, and Tannin Complex are available to help simulate or augment barrel aging. We stock the usual suspects such as barrels, pumps, and filters. Please don't hesitate to call or drop-in whenever you need assistance in your winemaking journey!